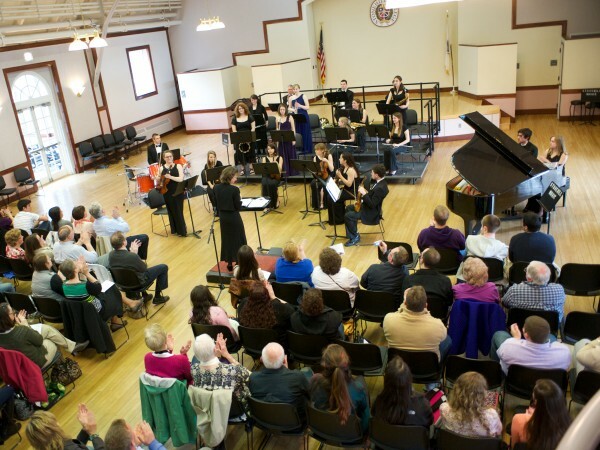 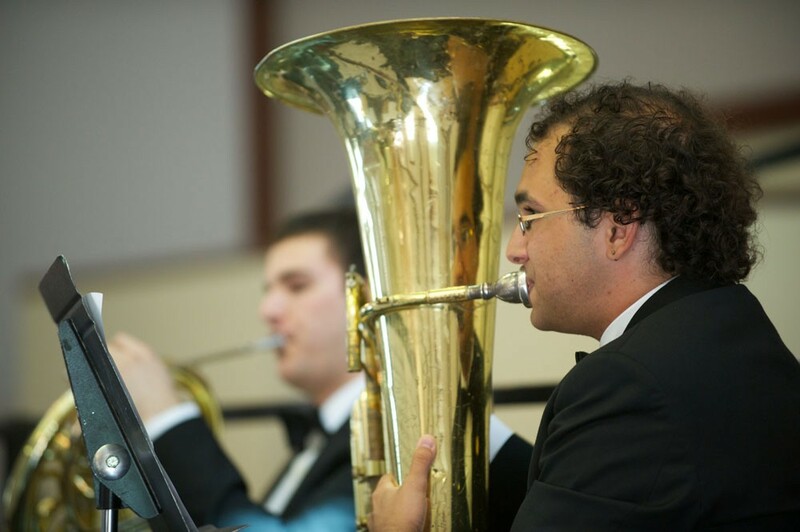 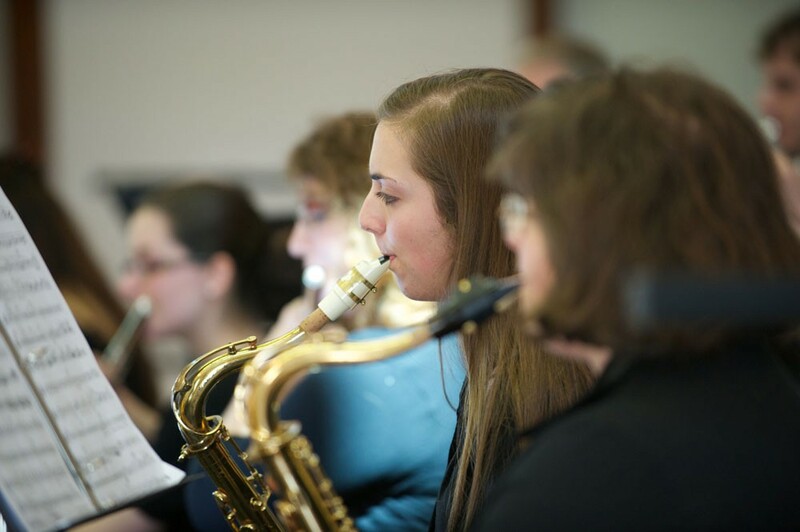 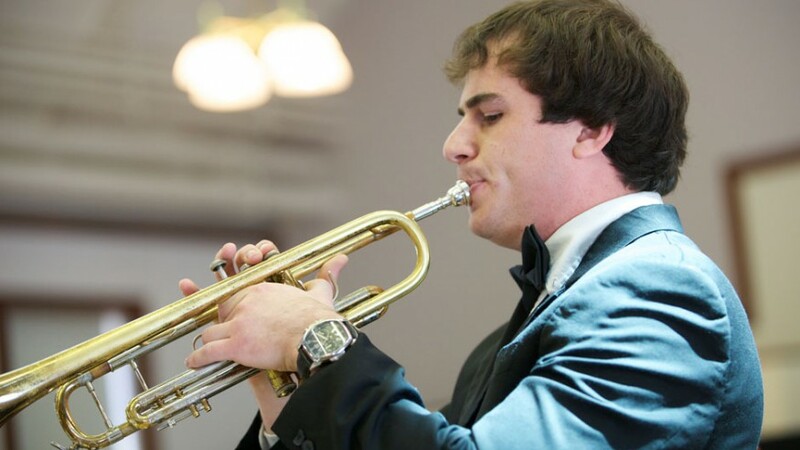 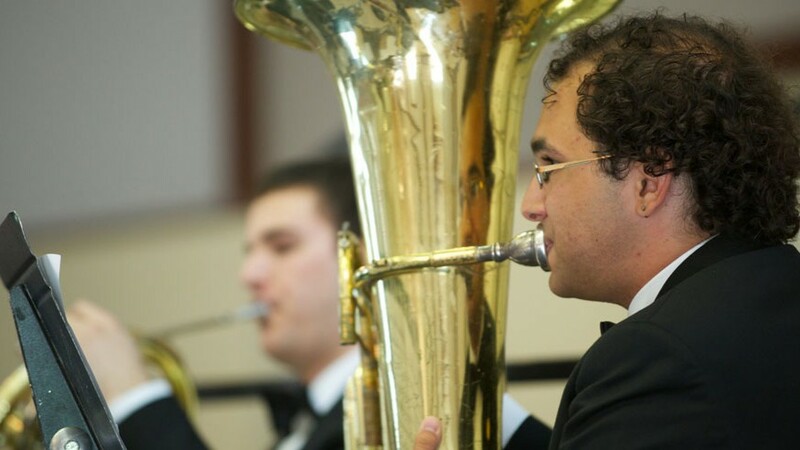 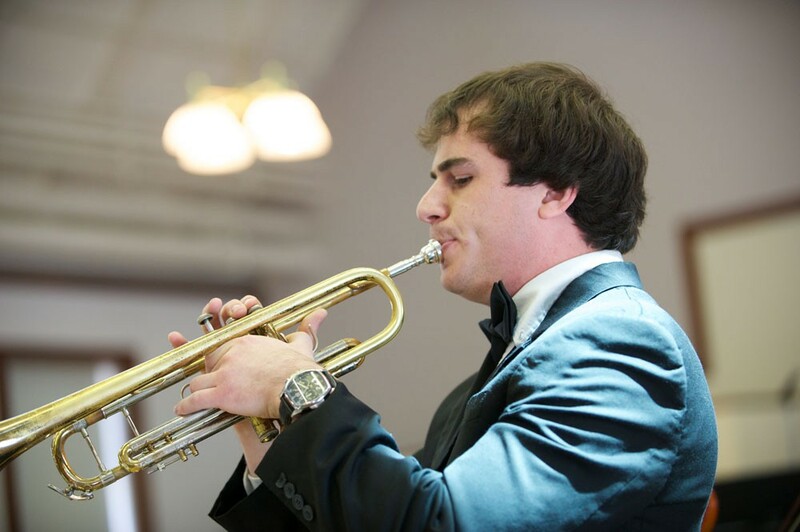 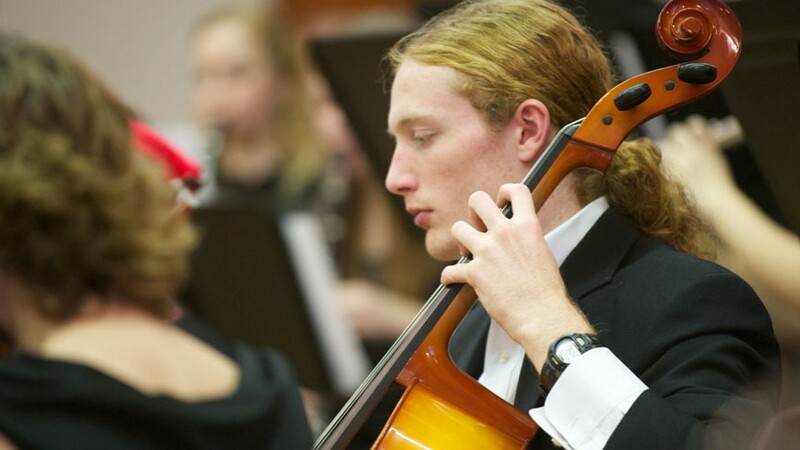 When students study music at Stonehill, they experience classes and ensembles that stimulate the imagination and inspire creativity. 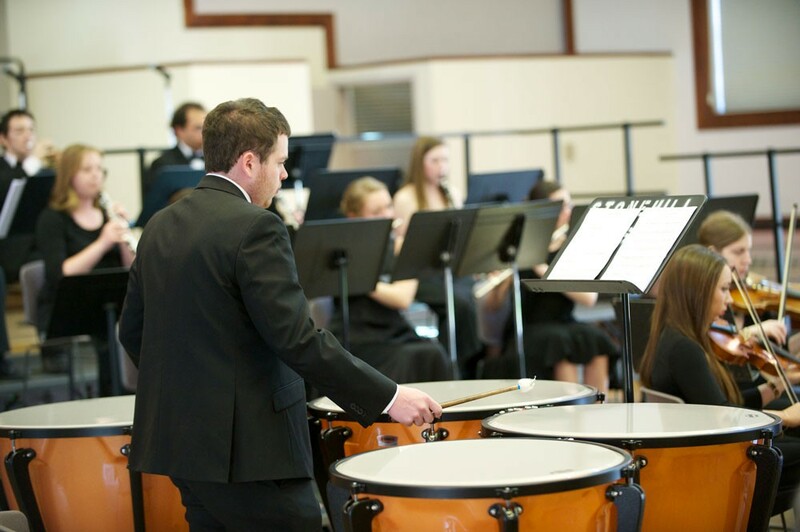 And they do it with the guidance of faculty who provide individual coaching and instruction, enabling them to reach maximum potential. 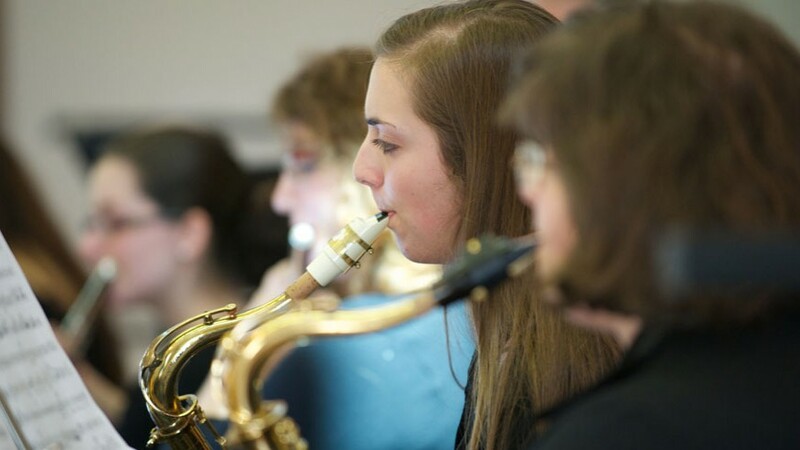 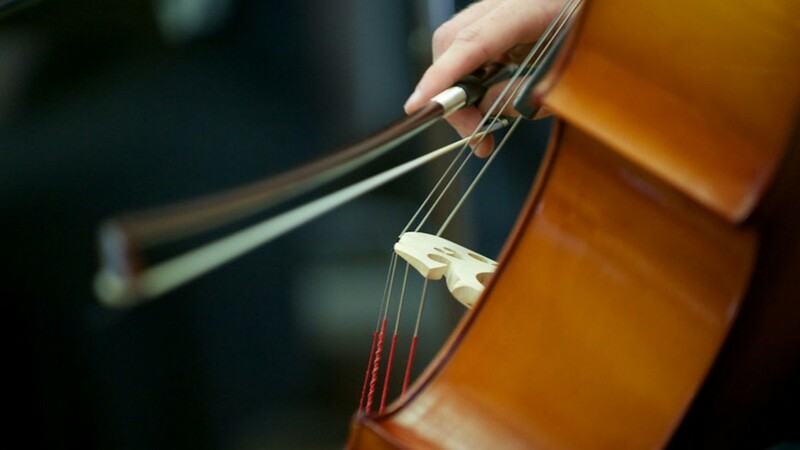 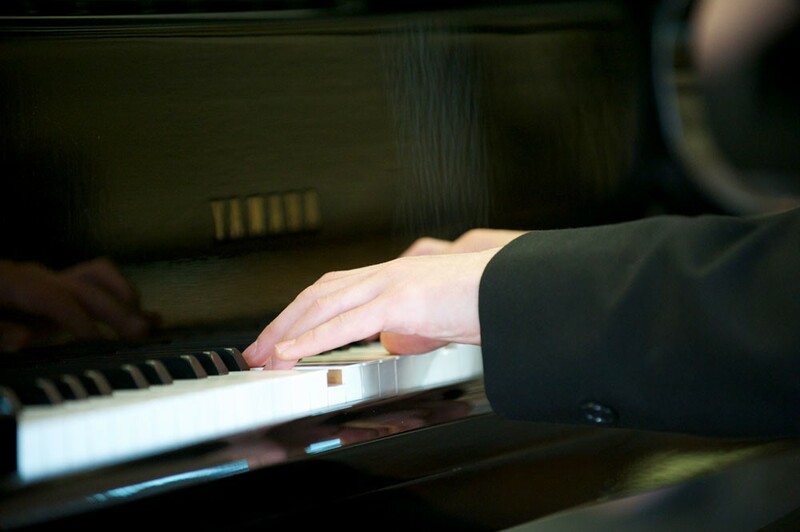 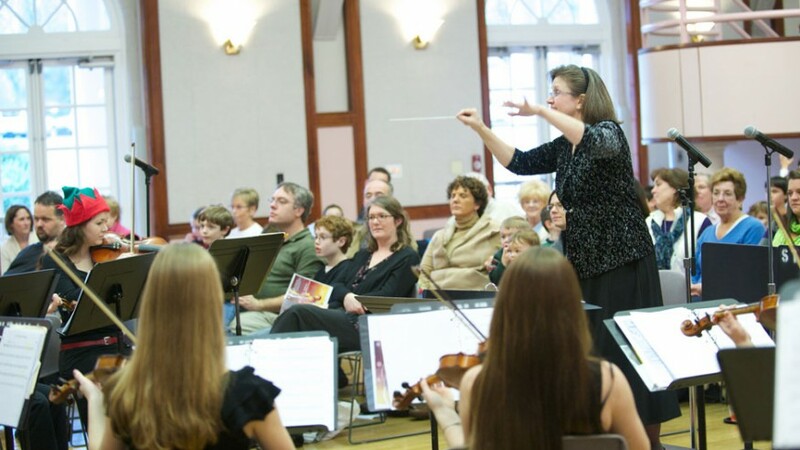 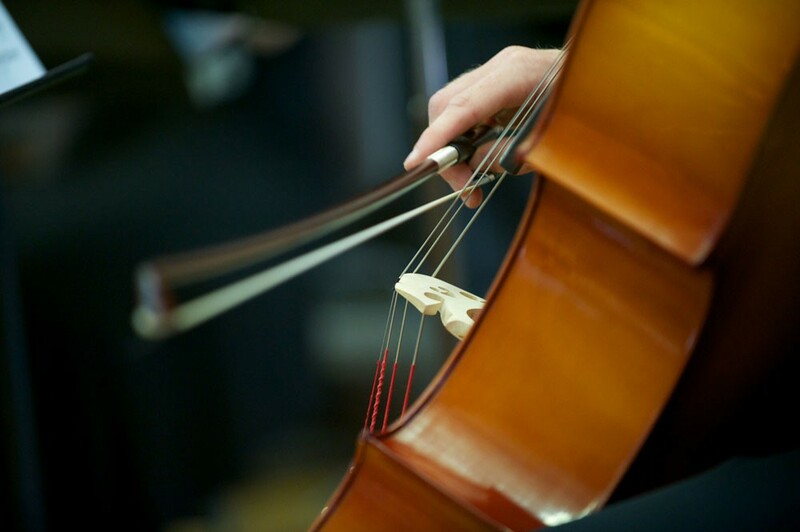 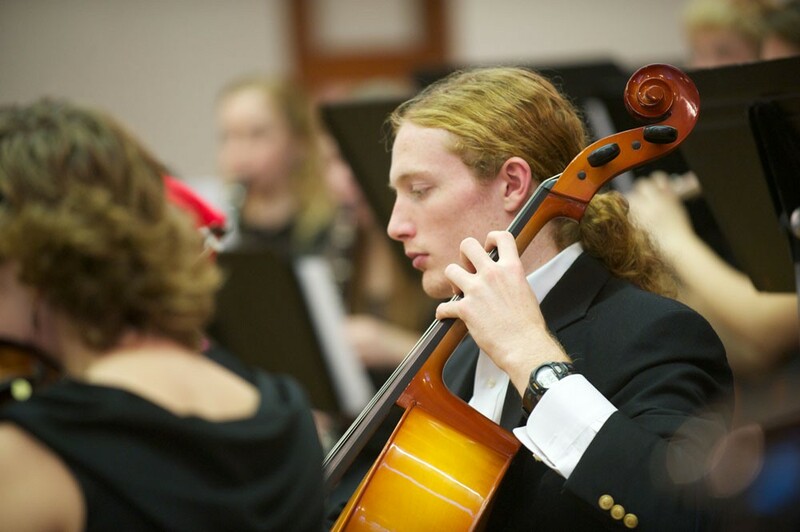 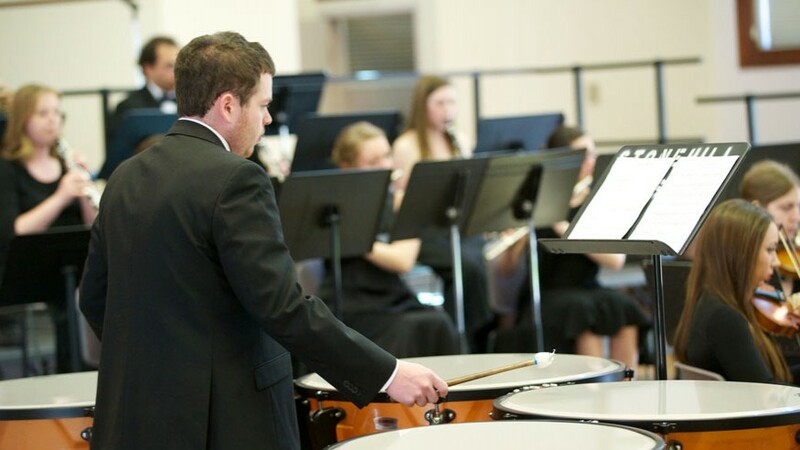 To view program requirements for Music, please view our online course catalog. 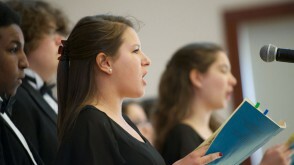 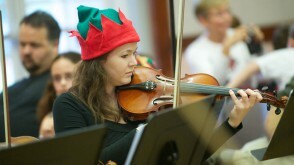 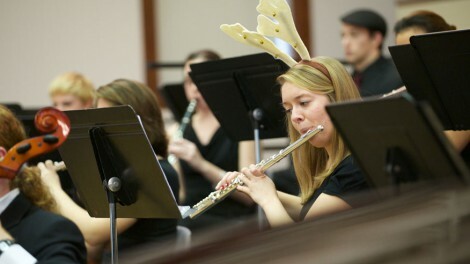 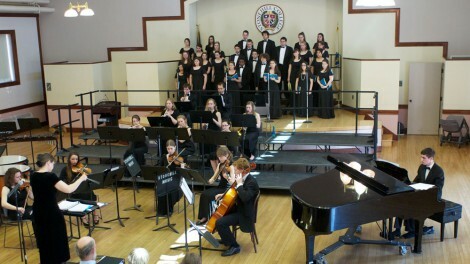 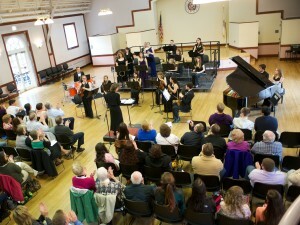 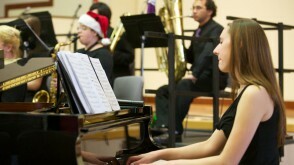 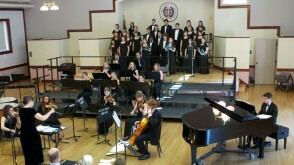 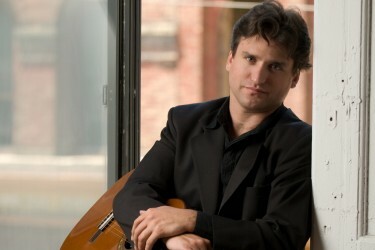 The Visual and Performing Arts, B.A., Music Concentration is offered by Stonehill’s Visual & Performing Arts Department. The Stonehill College Concert Ensemble and Collegiate Chorale proudly presented Handel’s Messiah on Sunday, December 7, in Alumni Hall. 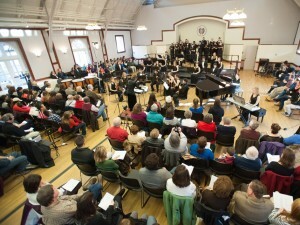 Hundreds of family members and friends of the Music Program attended this spectacular performance. 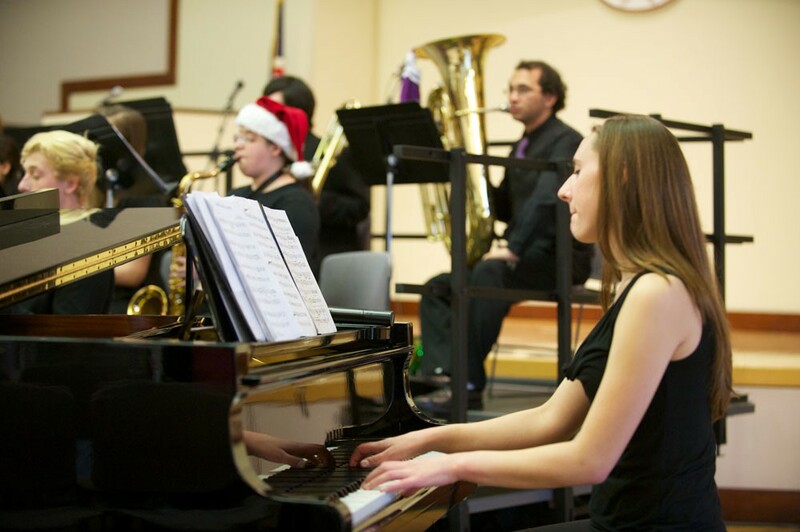 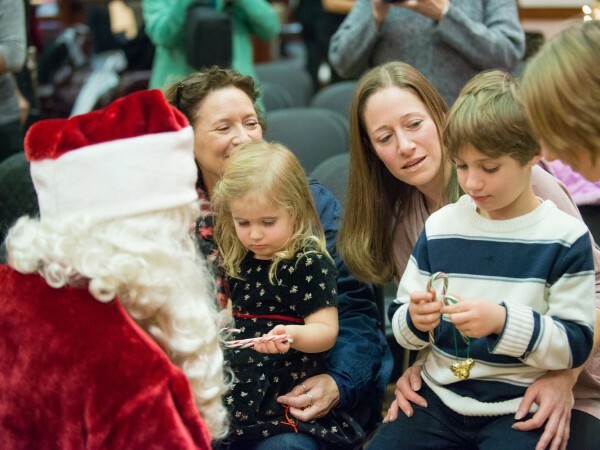 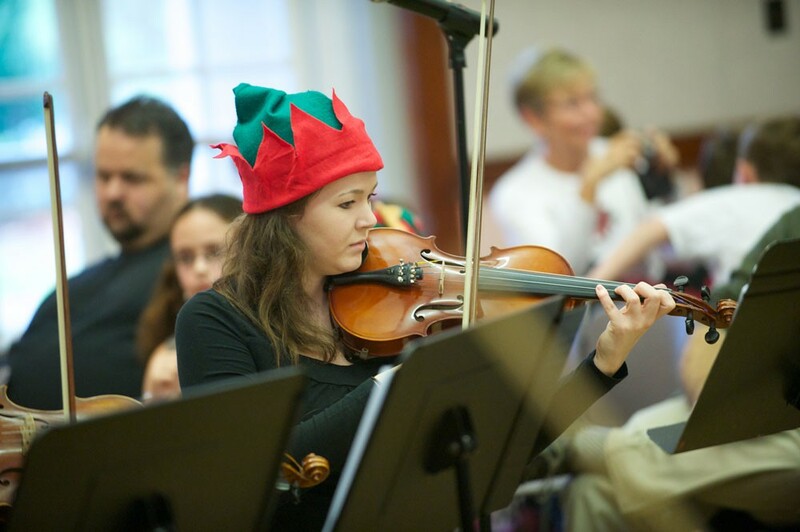 The Stonehill College Concert Ensemble and Collegiate Chorale welcomed families from the Wounded Warrior Project and campus community to the Annual Children’s Christmas Concert on Saturday, December 6, in Alumni Hall. 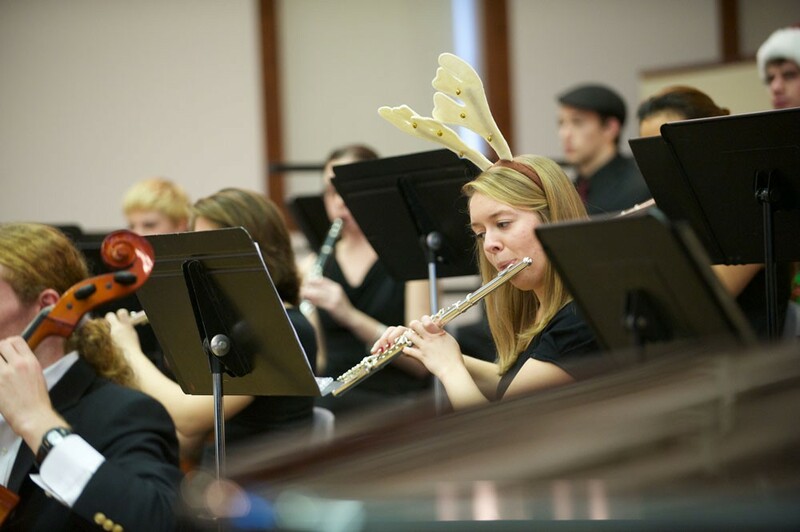 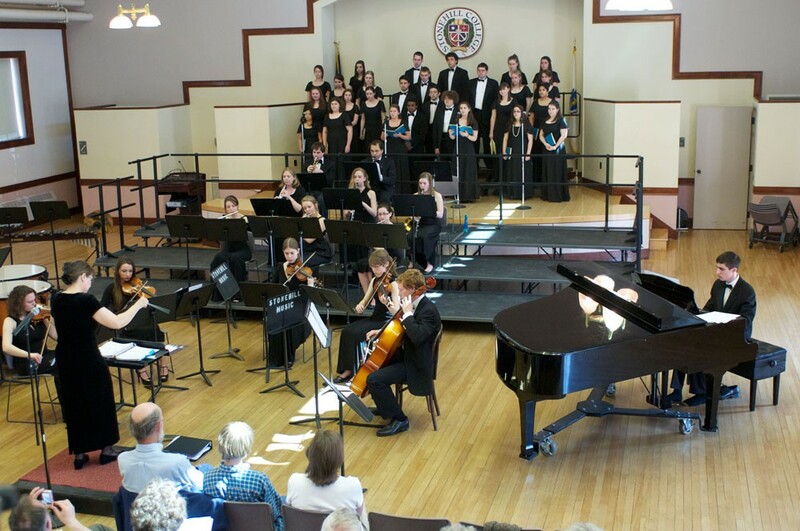 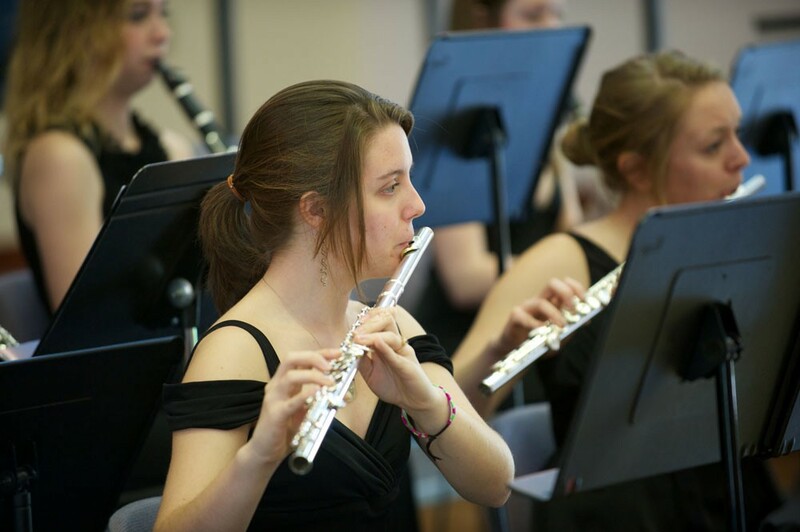 Nicole D’Angelo ’14, Rebecca Leising ’14 and Katie Stiles ’14 sparkled at the 2014 Stonehill College Concert Band and Orchestra Spring Concert, Sunday, April 27. 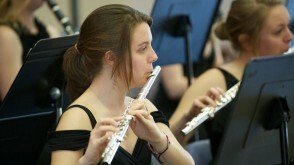 As featured soloists, they demonstrated considerable musical ability as each played a Mozart wind concerto. 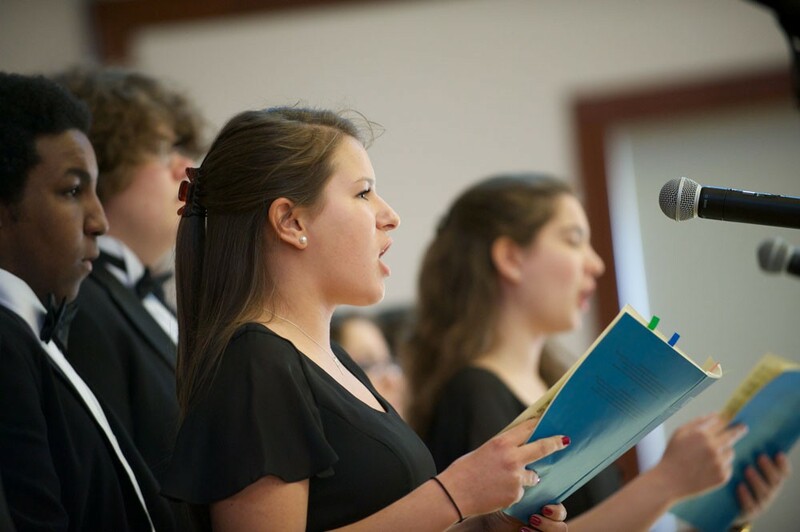 Stonehill College students participating in the Latin American Music History course have traveled to both Mexico City and Guatemala as part of their sophomore Learning Community where they studied the music and culture of the Aztecs and the Mayans. The performing arts major with a concentration in music requires the completion of 8 courses plus 9 additional credits of performance-based work. 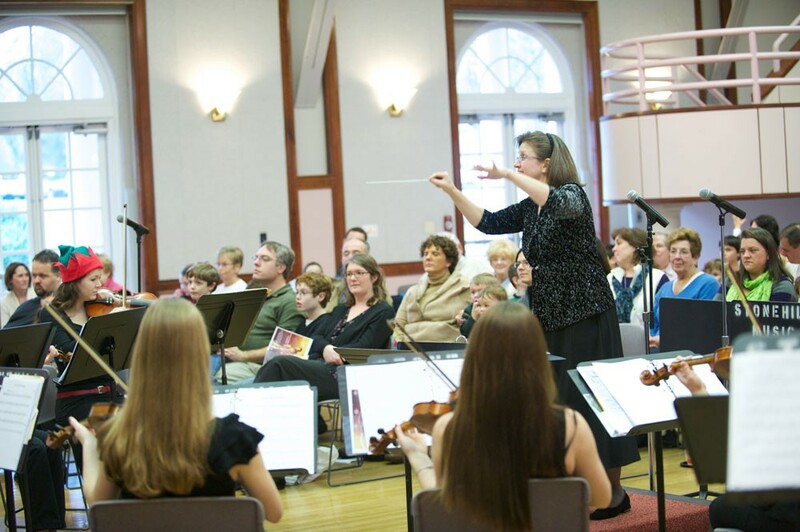 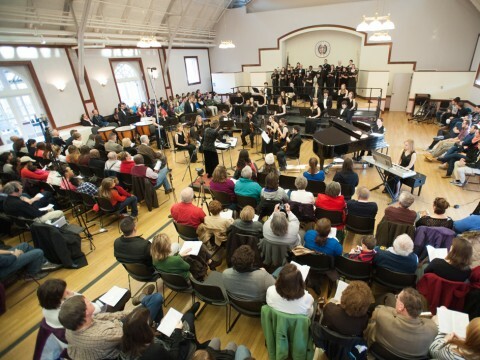 Founded in 1986, the Stonehill Collegiate Chorale is comprised of Stonehill undergraduates, faculty, staff, and experienced singers from the local community. The Chorale is committed to musical excellence, inclusive community, and a positive, affirming environment for singers of all backgrounds. 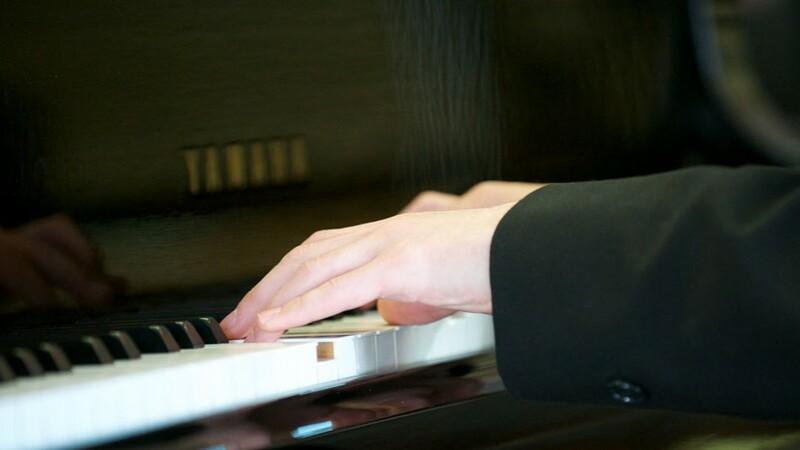 Music majors, minors and enthusiasts may participate as interns or volunteers in the “Soundtrack of Life” music therapy program at Life Care Centers of America. 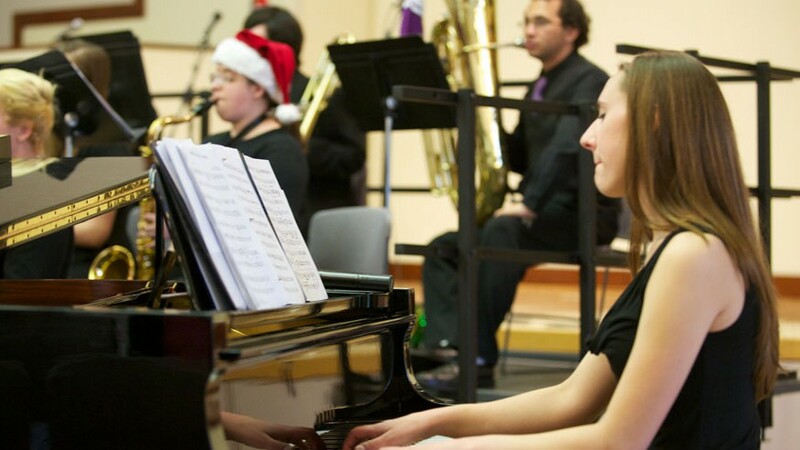 Music majors and minors, as well as music technology minors, may intern at Bristol Recording Studios in Boston.